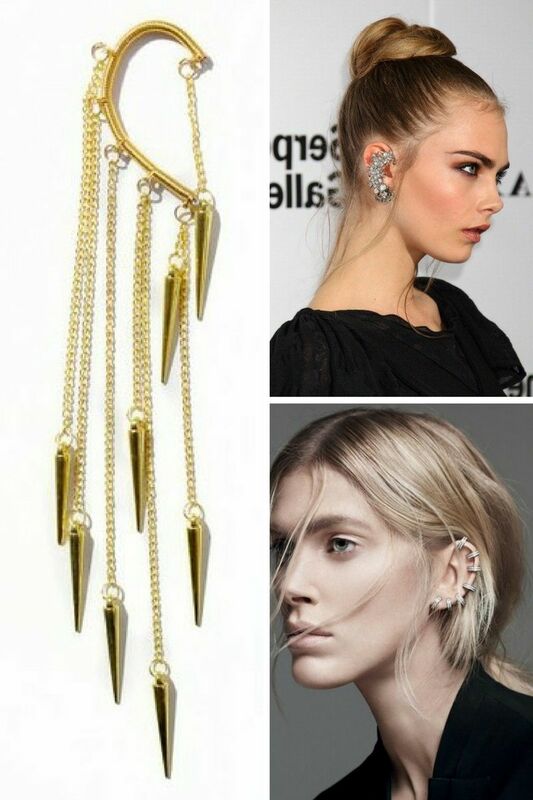 It’s time to show off your individuality to everyone around! 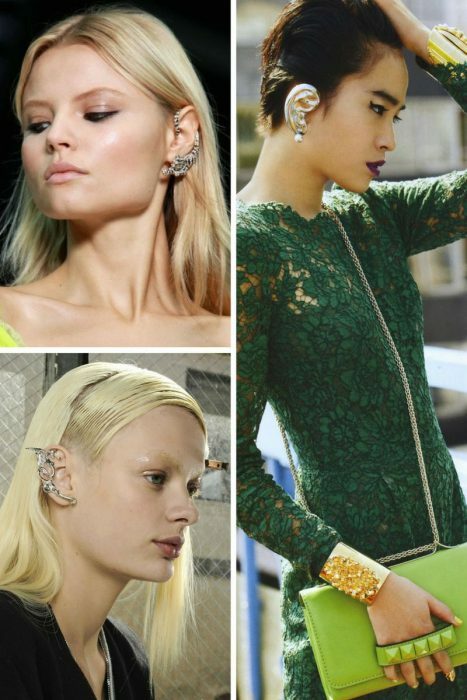 I am talking about ear cuffs and ways how to wear them now. 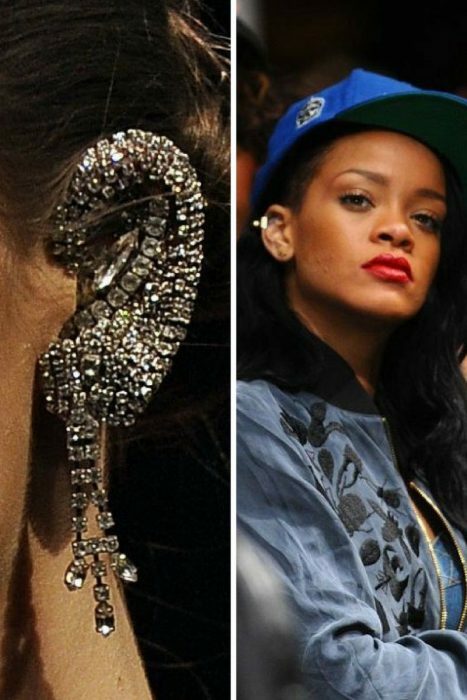 This is not something extra glamorous or luxe, but I see how many women make this grunge inspired accessory look posh on their ears. And I am not talking about those cuffs that are embellished with expensive and luxe diamonds. How can it be done? 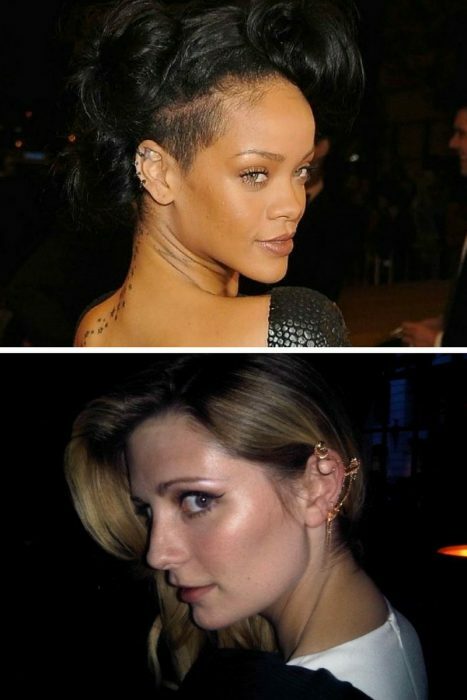 Well, everything depends on the way how you gonna style it. First of all, you need to feel the freedom of choice, have the courage to wear it in your everyday life and then you have it… Style it with office clothes, formal outfits, and red carpet gowns. That’s so easy, just give it a try! 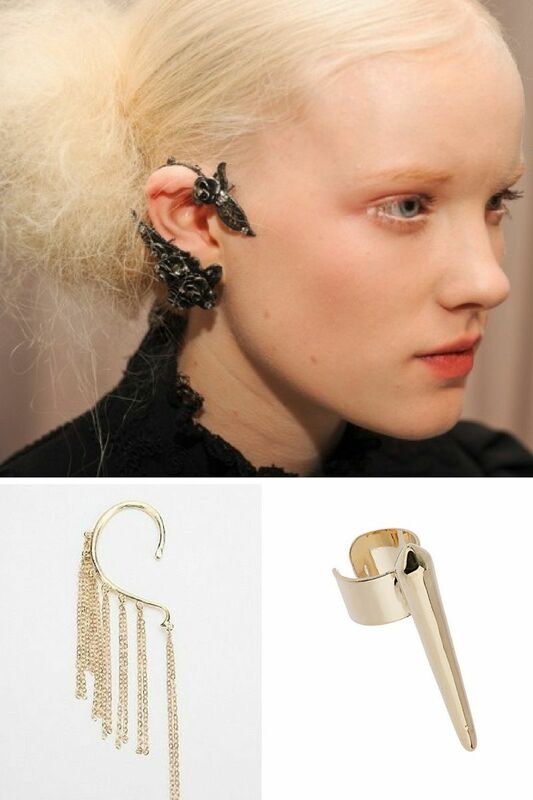 I love clashing two worlds, creating something new, trendy and special. 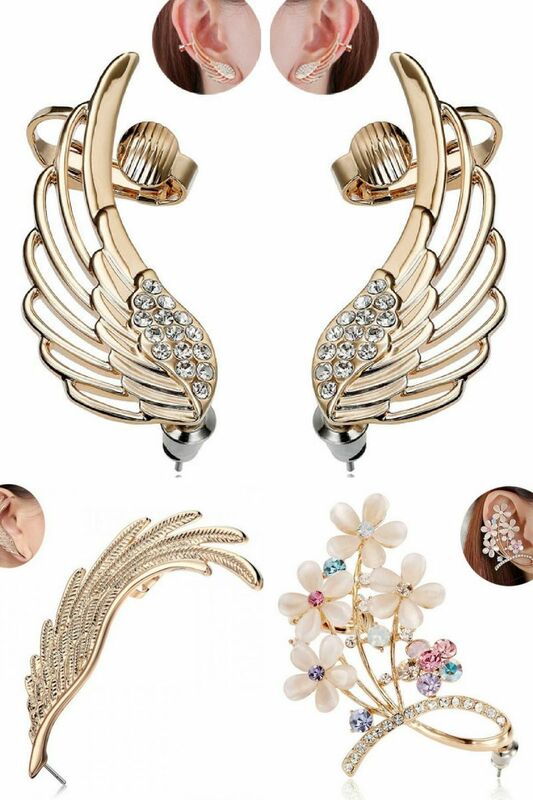 All you need is to check out all the possible ear-cuffs and imagine yourself wearing them with your everyday clothes or special evening attire. 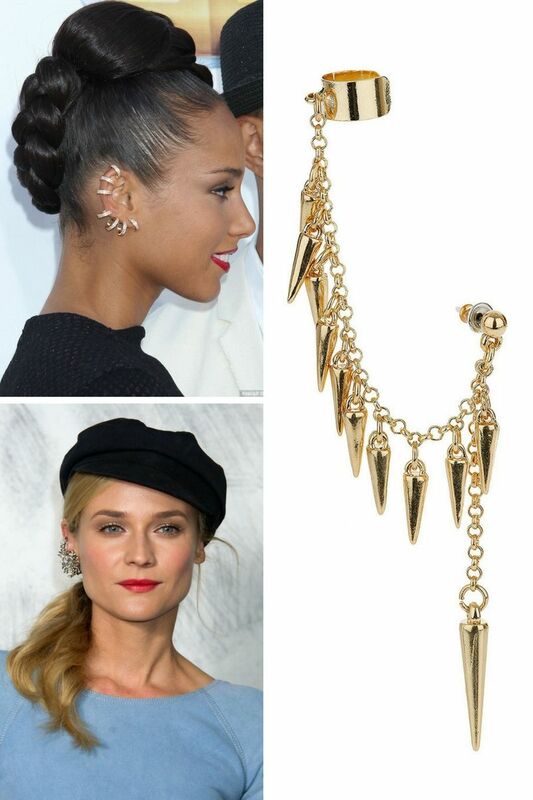 Start from the simplest ear cuffs to the statement ones, from silver to gold, from affordable to exclusive ones. Don’t be shy, try something extraordinary. 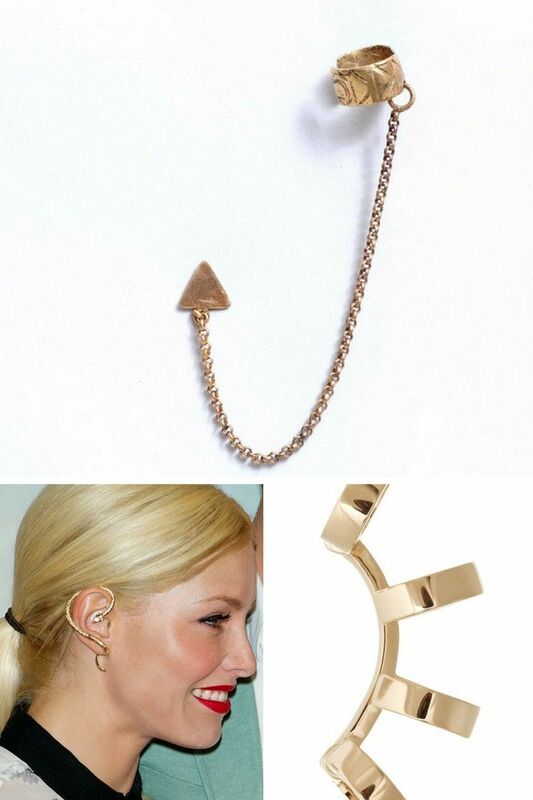 The best thing about this jewelry is the versatility and it doesn’t harm your ears. You don’t need to drill holes in ears, just wrap it around your ear cartilage and you are ready to go! 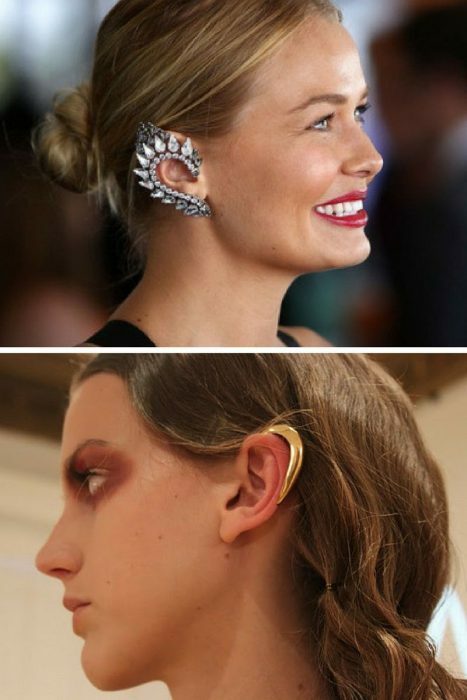 If you think this accessory is made only for young ladies, then you better think twice, it comes in millions of styles that are appropriate for all ages, and tastes. Yes, you can find simple and clean versions in silver or gold, as well as fun styles, embellished designs with chains and pendants. I personally love to see women who choose complicated and dramatic ear cuffs embellished with diamonds and beautiful details, I mean, this simple addition can be a perfect choice for making it the centerpiece accessory for your special event. 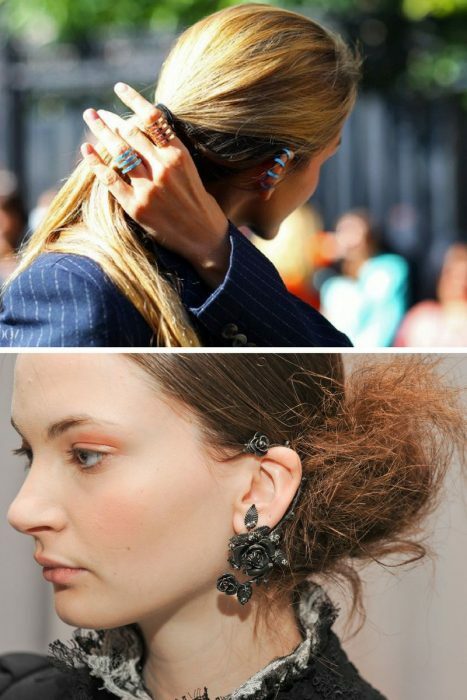 Speaking of your hairstyle, then you can either wear your hair pulled back, or create a super seductive look with hair down and make it sparkling from under your waves. 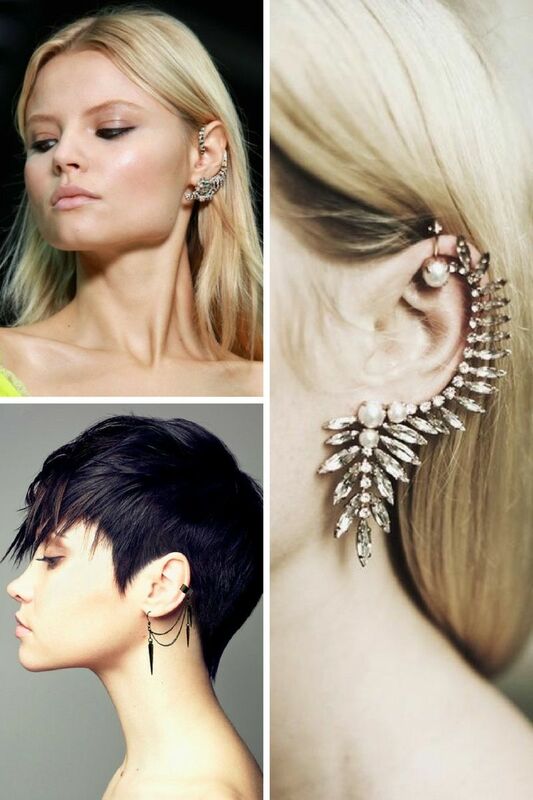 Yes, ear cuffs are small and give that special edge to your look. So, what are you waiting for, give a real fashion twist to your style? 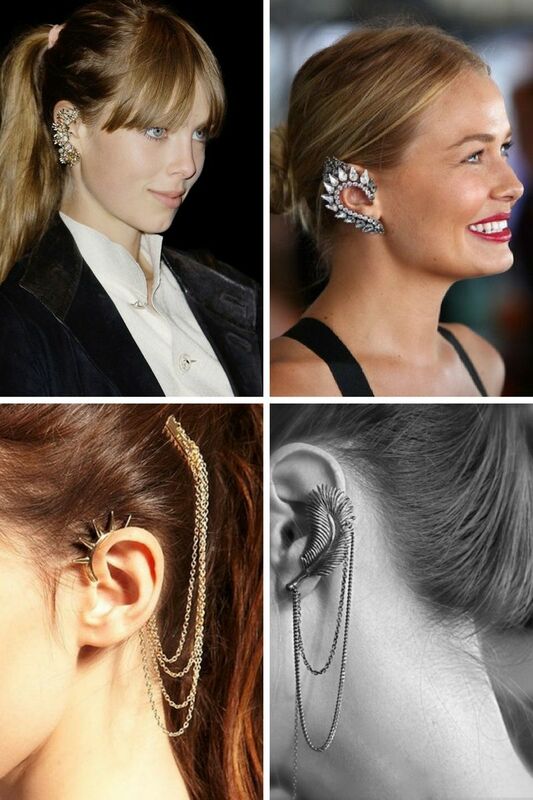 This latest jewelry trend is what you really need this year.